Ovation is your perfectly comfortable Men’s sandal. 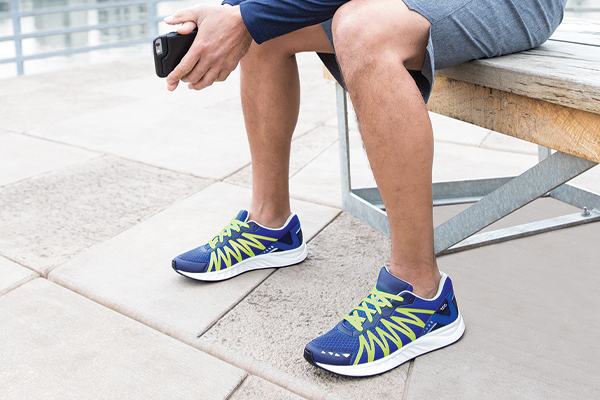 SAS Tripad® Technology cushions your foot at its three main pressure points offering unparalleled comfort. A contoured insole wrapped in soft leather cradles the curves and arches of your foot to give you maximum support. A leather lining completely cushions and protects the foot. Step into perfect comfort with Ovation. The initial fit of this sandal should allow the foot to settle naturally into the foot bed so that your foot sits inside the edge of the insole all the way around. This allows plenty of room for your toes to spread out and no area of the foot is pinched. The front strap should lie comfortably across the top of the foot and the back strap should be snug against the sides and back of the heel..
Genuine Leather Upper: A genuine aniline leather upper stretches over our exclusive last, which follows the natural shape of the foot, to shape the sandal for a proper fit. Contoured Insole:The lightweight insole has a full-length shock absorbing cushion and shapes to the natural arches and curves of your foot for comfortable support. Adjustable Comfort:Two adjustable SAS EZ Straps™ allow you to customize the fit of the sandal to your foot. The adjustability is also enhanced by an elasticized buckle on the ankle strap fitted to secure and flex with your foot as you walk. All Day Comfort Sole:A roomy sole base provides increased stability and maximum shock absorbency. This feature, along with the contoured insole, works to add bounce to each step and provide you with all-day cushioned comfort.